Egypt's irrigation ministry says that no concrete results were reached during talks between Irrigation Minister Mohamed Abdel-Aty and his Ethiopian and Sudanese counterparts on the Grand Ethiopian Renaissance Dam. In an official statement published by the state-owned MENA news agency, Egypt’s irrigation ministry said that despite the lack of progress, the three countries reiterated their commitment to continuing talks soon to reach an agreement that is satisfactory for all sides on the filling of the dam's reservoir in accordance with the declaration of principles signed in 2015. The issue of filling the dam’s reservoir has been the key disagreement between Egypt and Ethiopia regarding the dam, which Addis Ababa insists will not reduce Egypt's share of Nile water. 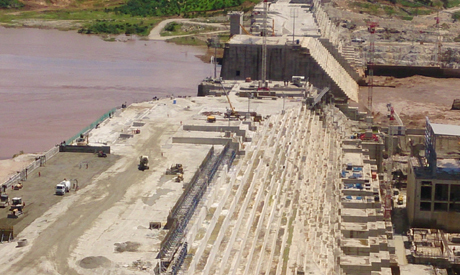 Ethiopia is building the dam on the main tributary to Egypt's Nile River. During the meeting, Egypt’s Irrigation Minister Abdel-Aty said that Wednesday’s gathering reflects the three countries' commitment to finding the best possible scenarios for filing the dam without causing harm to downstream countries. Addis Ababa says that its $4 billion hydroelectric project is essential for Ethiopia's development efforts. The visits by the Egyptian minister came a few months after the leaders of Egypt and Ethiopia hinted at a breakthrough to resolve differences over the project. Ethiopia’s PM Abiy Ahmed said at the time that his country is committed to safeguarding Egypt's share of Nile water.